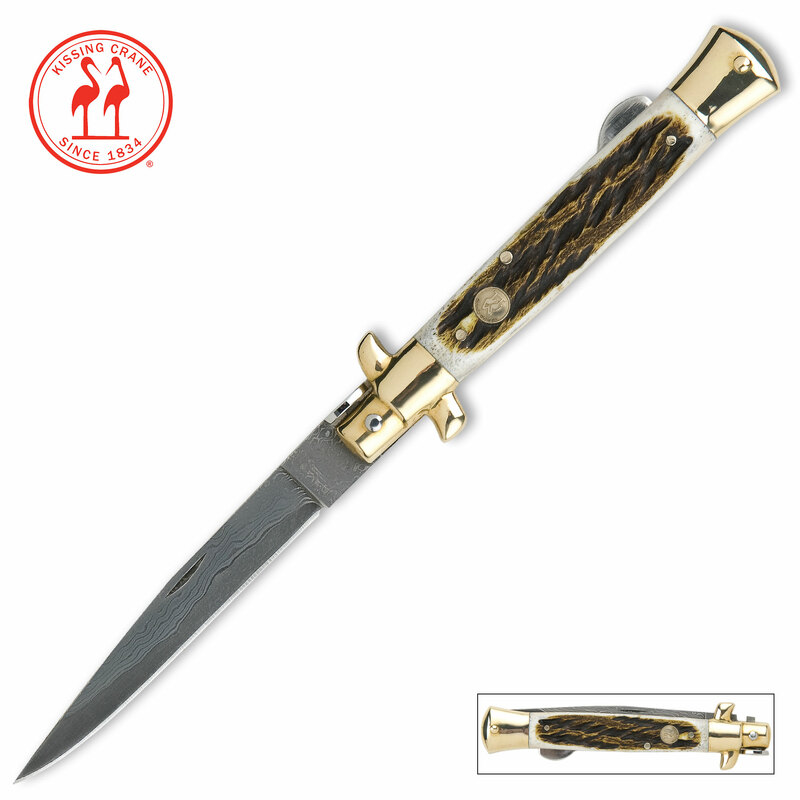 Kissing Crane Burnt Bone Stiletto Knife - Damascus Blade | BUDK.com - Knives & Swords At The Lowest Prices! The all-new Kissing Crane Burnt Bone Stiletto features a genuine bone handle with a burnt texture that gives it a rustic appeal. 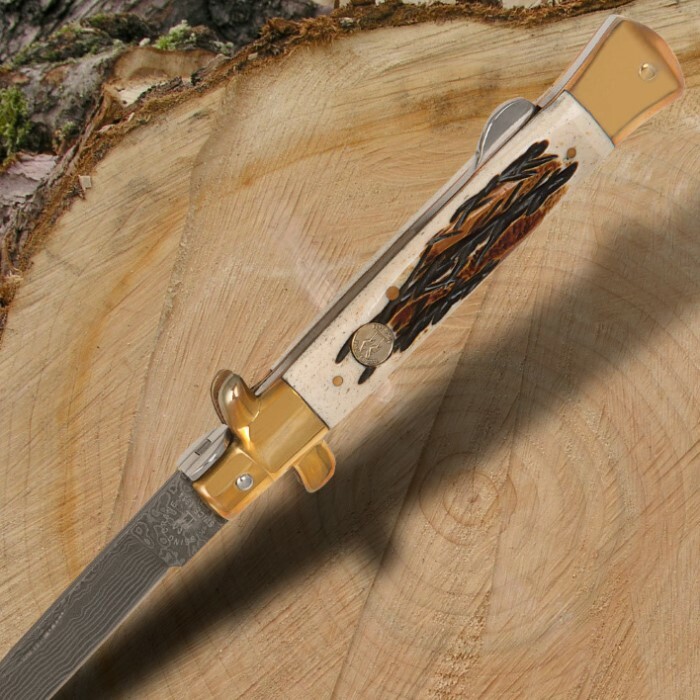 The razor-sharp stiletto blade is of striking Damascus steel. It also features attractive brass plated pins, bolsters and the signature Kissing Crane cast shield. We know you have someone in mind to give this attractive stiletto to!